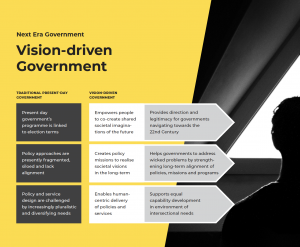 Reimagining governance for the future. This is our vision on Public Sector Innovation of the Next Era. Governments around the world are muddling through the volatile early decades of the 21st century. The design of policies and services is becoming more and more challenging in the face of interconnectedness and complexity of existing systems. Multiplying wicked problems such as climate change, conflicts pandemics, poverty and social injustices further complicate public governance. Governments aiming to address the challenges of the 21st Century struggle to get major reforms through conflicted legislative processes, and people’s trust in their governments continues to decline in many countries. The present century can be characterised as a century of complexity, uncertainty, and rapid change. 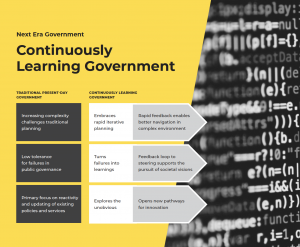 It is becoming increasingly recognised that many of the public governance structures and operating models were designed for the past era and for less complex policy domains. We believe that the future of the Next Era Governments must be co-created with the people. We work together with governments around the world to make this future happen now. 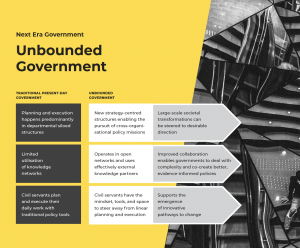 – unbounded governments create new administrative capabilities by becoming integral parts of broad stakeholder networks, and they are able to align cross-sectoral activities towards desirable societal transformations. Download the Vision Paper (pdf). 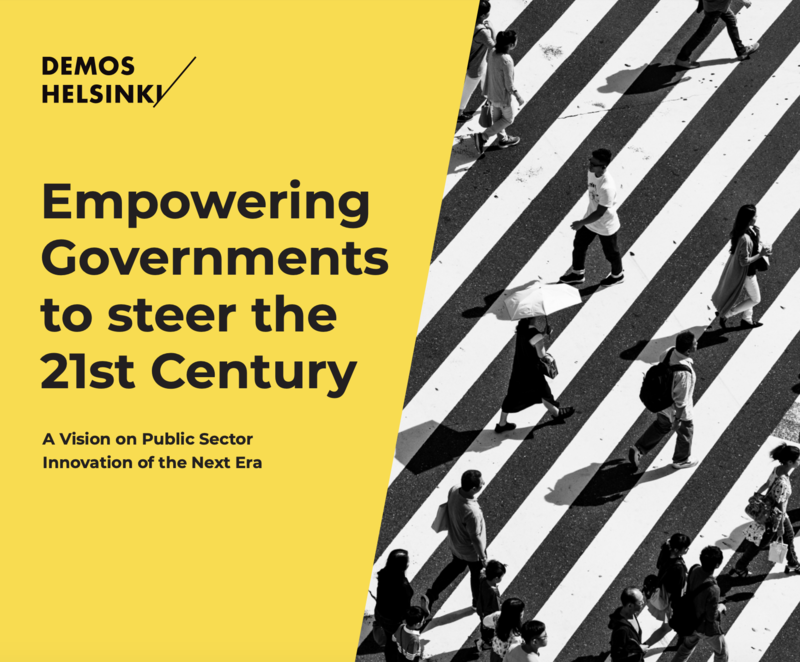 Demos Helsinki’s governance innovation work focuses on three key domains: policy experimentation, long-term strategic steering, and innovation capabilities. We look forward to building the Next Era Government with you. Contact our team here.